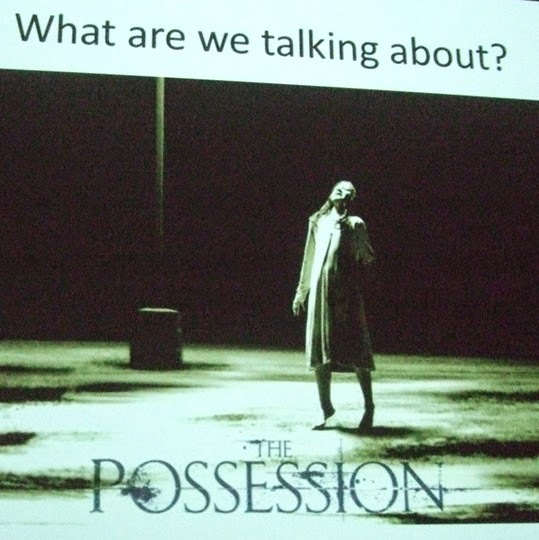 I've been interviewed about demonic possession in a podcast by a Christian church minister who loves horror films. No, this isn't a belated April Fools Day post, it really happened. I met Peter Laws, a church minister who does a rather good podcast called theflicksthatchurchforgot, at the social event after ASSAP's Seriously Possessed conference. He was interviewing people on their thoughts about whether demons really exist and, if they do, if they can possess people. A few days ago Peter emailed me to say his latest podcast was available online. He said: "I’ve just posted a series of podcasts exploring demonic possession movies and the final podcast in that series looks at the ‘facts’ of possession and contains the interview I did with your friends. (They appear near to the end)." I've listened to it and have to say I enjoyed it very much. Peter's podcasts are mainly about horror films - something I'm not as knowledgeable about as I would like to be - but the latest one is about the conference. I was pleased to discover I didn't sound too embarrassing in the interview, and I'm not actually named anyway.